HomeEntertainmentVijay’s dad joins with Vijay in ‘Puli’! Vijay’s dad joins with Vijay in ‘Puli’! During Vijay’s formative years as a young star, veteran actor Vijayakumar who is the father of actor Arun Vijay used to be an integral part of many Vijay films like ‘Rasigan’, ‘Kushi’, ‘Youth’, ‘Aadhi’ to name a few. After a long gap Vijaykumar has joined Vijay for ‘Puli’ in which he is doing an important role. Another ten days of shooting are left for ‘Puli’ in India after which Vijay, Hansika and Shruthi Haasan will be travelling to China or Cambodia to shoot songs. 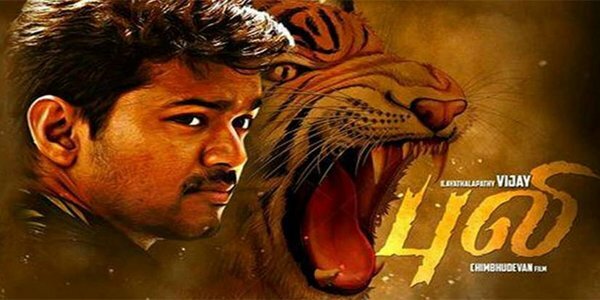 ‘Puli’ is produced by P.T. Selvakumar and Shibu K. Thameen and is directed by Chimbudevan. Vijay to sing two song in the film ‘Kaththi’ ?